What led to Mike Johnston’s firing? Rutherford hinted at for much of the press conference that while players bought into what Johnston was preaching, he didn’t have the ability to keep players on the same page or enforce it. Among many of the underachieving players under Johnston this season included Sidney Crosby, Kris Letang, Phil Kessel, Nick Bonino, Ian Cole, among others. The process of mulling a coaching change started all the way back to last month in losses to the Blue Jackets and Devils. “That weekend was a real low point. That’s when I started thinking about it,” Rutherford said. With ownership not interested in bringing a new coach on from outside the organization due to financial reasons, momentum started to emerge this week that Mike Sullivan would be the go-to-guy as Johnston’s seat continued to get warmer. Those in the Penguins organization have felt Sullivan could bring that needed Michel Therrien bad cop type presence to the table that worked so well initially with the stars years ago. Malkin and Crosby, though, were much younger then and how they handle a coach who is going to push them is going to be fascinating to watch. 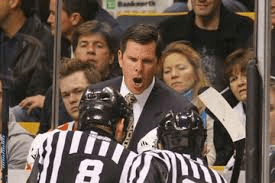 Sullivan is very demanding like John Tortorella as the two coached together for several years. Phil Kessel hated playing for Randy Carlyle and I’d wager he won’t be a fan of Sullivan by the end of this go-around. Rutherford mentioned Sullivan reminds him of a coach who won a Stanley Cup for him in Carolina. “I believe Sullivan is the guy who can come in and really take control,” Rutherford said. “I do see Mike as a guy, really is a demanding and take control guy. In some ways, he reminds Want the Full Story? Get "Inside Access"